Oracle Band News and Information: Congratulations to Christina & Robert!!! 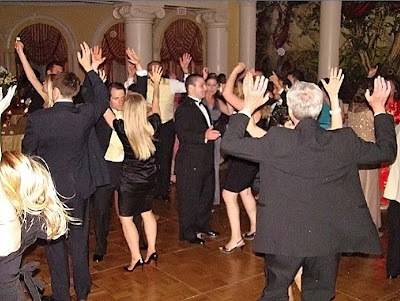 On Saturday at the Omni-Shoreham hotel in Washington DC the band was delighted to be a part of Christina and Robert's wedding day celebration. Built in 1933 the Omni-Shoreham has a rich history starting with the inaugural ball of Franklin Roosevelt and every president since. Even more intriguing is that the hotel has it's very own ghost, residing in a room appropriately named the "Ghost Suite"! But enough about the hotel...it's Christina & Robert's WEDDING we really wanted to talk about. We knew we were in for a treat when during dinner the Chinese Youth Club Lion Dance team entered the room to entertain for about 20 minutes during dinner. Featuring 2 lions and a "Buddha" lion tamer, and accompanied by several percussionists, it was truly a unique experience for a wedding! This was one of the latest wedding receptions we have played in many years, lasting until 1:00 in the morning. Heck, we didn't start the dance music until almost 11:00. 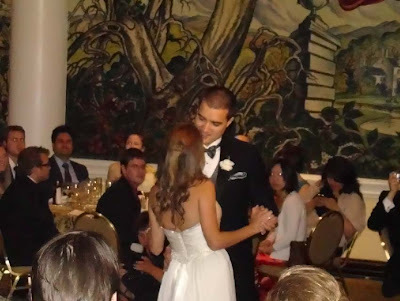 So you can understand that it was with awe that we saw the dance floor still jammed even as the last strains of "Don't Stop Believin"" served as a sendoff song for our newlywed couple. Finally, kudos go out to Aubrey and the folks at Simply Created Events in Baltimore. They served as "Day Of" coordinator, and it was a pleasure to work with her. We would recommend her highly to anyone looking to remove some of the stress of managing the details of their wedding day.